Hearing tips and tricks of the trade from some of the best pilots in the world is always a treat. In this 20-minute informational/behind-the-scenes video by Rotor Riot's StingersSwarm, Kevin reminisces about a recent long range flight session with Gab707 and Jet. For most of us, this is as close as it's ever going to get to flying with these 3, top pilots. 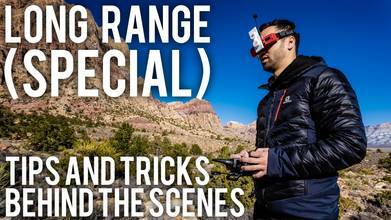 If you're an FPV fan, definitely give this video a watch!